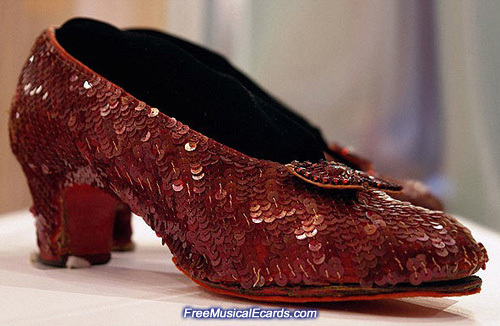 The Wizard of Oz Kansas farm girl, Judy Garland wore the iconic ruby slippers and instantly made them famous in her role as Dorothy in The Wizard of Oz. 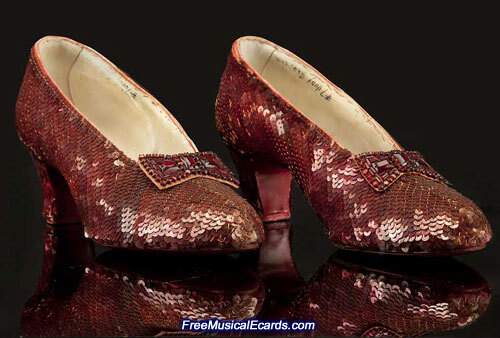 Now estimated to go for a staggering $3 million dollars, Judy Garland's ruby slippers are the most expensive pair of shoes in the world. 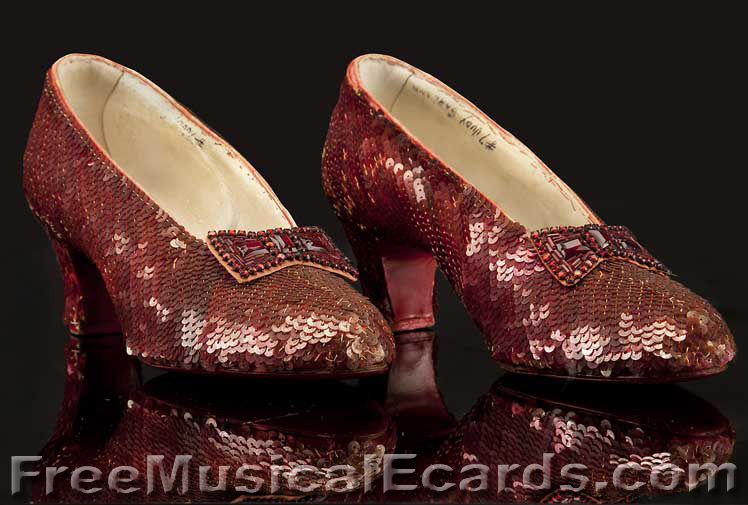 Isn't Judy Garland's ruby slippers called shoes? 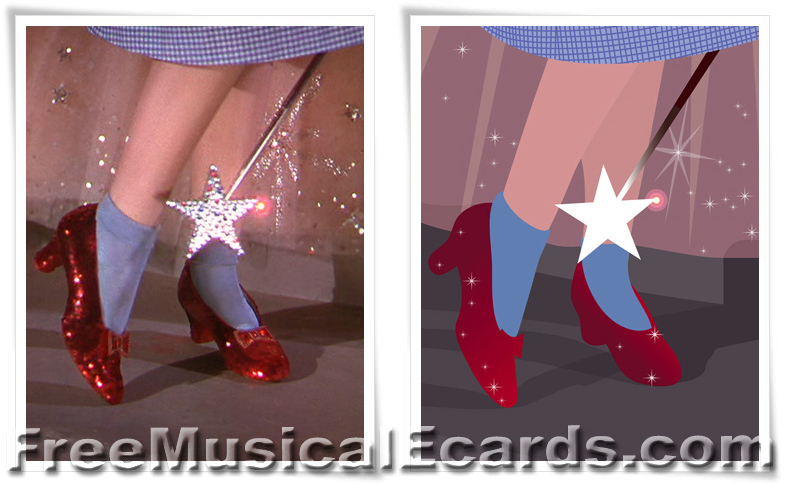 when she played Dorothy in The Wizard of Oz (1939). 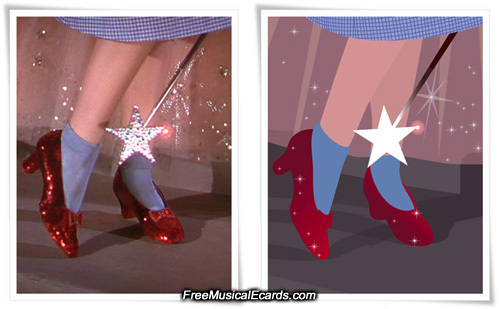 A closer look at the twinkling ruby slippers as they appear today. 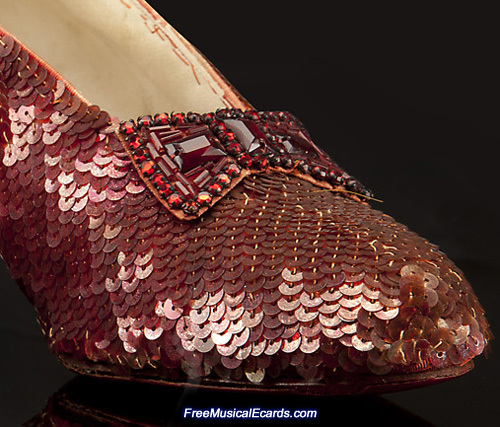 They are covered by strands of flat sequins. Great design!